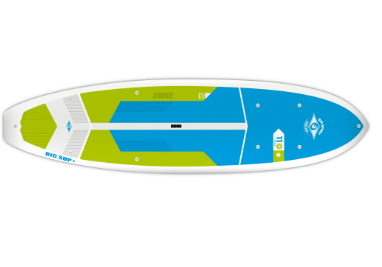 An ultra-stable platform equally suited for first-timers, family fun, fitness, yoga, fishing or whatever your next SUP adventure may be. The unique ‘hybrid’ design of the Cross features a keeled nose for excellent tracking, full rail-to-rail volume for enhanced stability and maximum use of the entire deck, and a full waterline to increase speed and efficiency. Numerous attachment points for securing accessories and deck rigging come standard on all Cross models. Max Ride weight for good stability – 285lbs.